Ziyad Raoof the Representative of Kurdistan Regional Government to Poland was a guest of international conference „The role of catholic church in European integration process” which was held in Krakow. 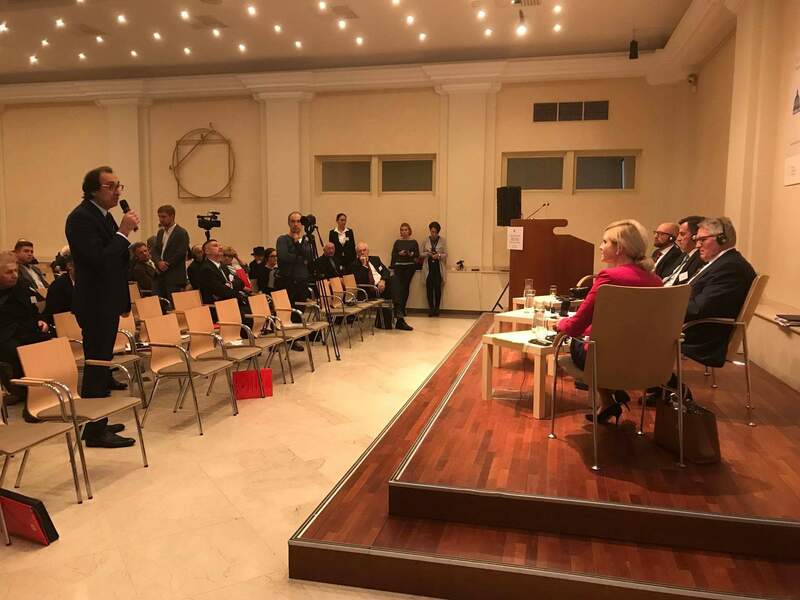 It was 17th edition of the conference attended by many important politicians from Europe and Poland- MPs and members of European Parliament, catholic priests, experts and scientists. As every year, the problems and threats facing Europe and the role of the Catholic Church in solving them are discussed. Ziyad Raoof reminded that currently Middle-east Christians are experiencing new wave of persecutions from Shia militia. 850 families were driven out from Christian cities at Nineveh Plains and ran away to Kurdistan. KRG Representative appealed for immediate reaction of international community. Apart from participation in discussion panel Ziyad Raoof had a series of back-stage talks with Polish MPs, members of European Parliament as well as Hans-Gert Pottering-former chairman of European Parliament and David McAllister-chairman of foreign affairs committee in European Parliament. The KRG representative explained him in detail the situation in Kurdistan, talked about aggression on the Kurds, and the role of Iran and Shiite militias in these activities. After a series of talks with Ziyad Raoof European politicians declared to bring up Kurdish matters in the European Parliament and also during meetings with American politicians.